It’s St. Patrick’s Day, so just about every food blog is posting their version of Irish classics. 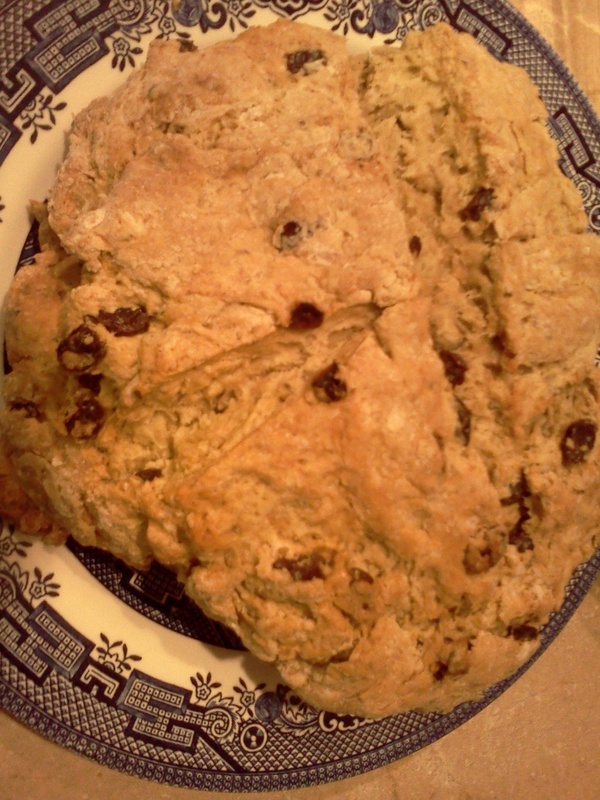 I wasn’t going to post anything, but then I ate the best Irish Soda bread ever! And it’s not even my recipe! Head over to Hell Yeah It’s Vegan and make it. I used Almond/Brazil nut milk, raisins, and 2T caraway seeds (by accident, but turned out delicious!). Start the onion & cabbage part first, since that takes the longest. Heat both oils together in a large skillet over medium heat. Add the onions and cook until translucent. Add the cabbage and cover with a tight fitting lid. Reduce heat to medium low. Meanwhile, place the potatoes in a large heavy bottomed pot. Cover with water & bring to a boil. Reduce heat to medium high and cook under tender. Stir the cabbage & onions every 5 minutes or so while the potatoes are cooking. The juices from the cabbage will deglaze your pan. You want everything to cook down and start to caramelize. When the potatoes are done, drain except for 1/2 C of water. Add the Earth Balance and mash. (Using a little of the cooking water instead of a milk keeps them fluffy). 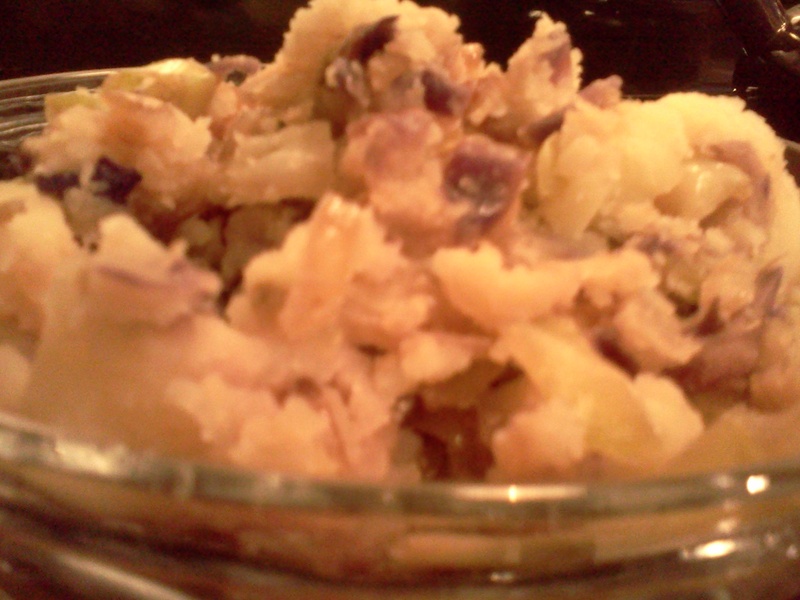 Fold in the cabbage & onion mixture until thoroughly combined. The purple & green combo is a nice color contrast. Add a little more Earth Balance when you’re heating up leftovers.